TATTO PICTURE: East Bay Express:Best Tattoo Shop 2012! 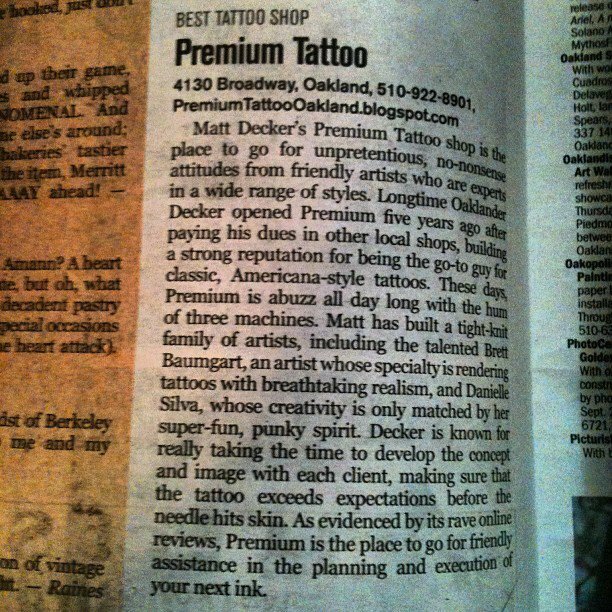 East Bay Express:Best Tattoo Shop 2012! East Bay Express Best of the Bay 2012 "Best Tattoo Shop"!!! !Thank you to all of our loyal clients!